I recently joined X-Mode as the company’s Chief Business Officer. I am beyond excited to be a part of such an exceptional team — helmed by the great Joshua Anton, CEO and founder. 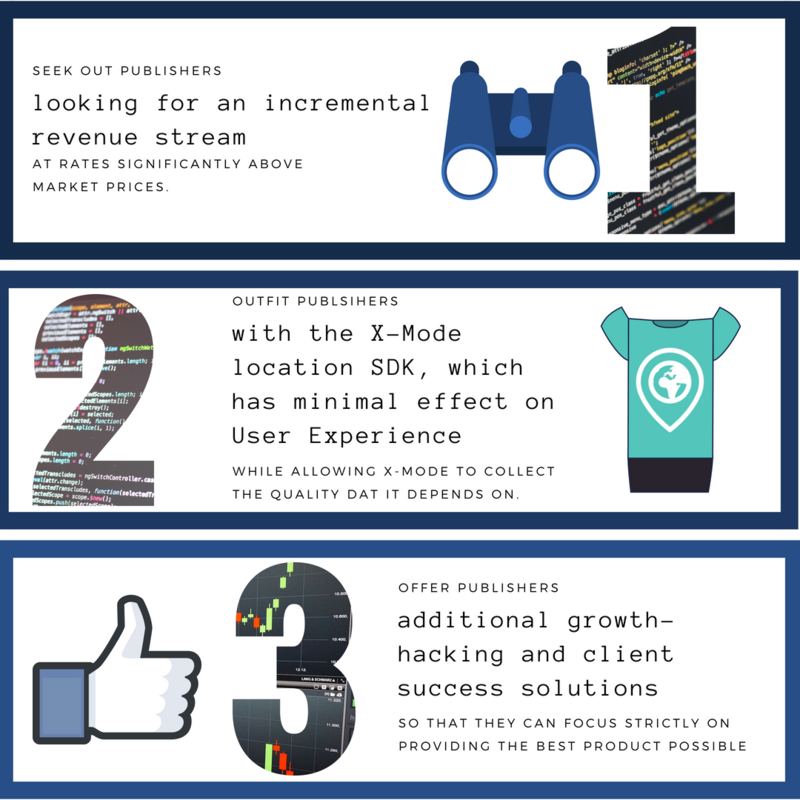 For those who are not familiar with X-Mode, and may be confused as to why I would jump onto a relatively unknown startup in the location data space, let me outline four key reasons why I joined X-Mode. My journey with X-Mode started long before I joined as their Chief Business Officer. In late 2015, while still at AOL, I had the opportunity to present to room full of startups at AOL’s then-incubator, Fishbowl Labs. I talked about how companies need to start treating their data as a critical and valuable asset. Shortly thereafter, Brian Park, Managing Partner of FishBowl Labs, told me I need to meet Josh Anton, who ran a B2C startup called Drunk Mode. Josh and I, Brian assured me, would have a lot to talk about. After some back and forth, he, Brian and I finally connected in April 2016, right after I left AOL and right before I was heading out for San Diego. We had a great discussion about the world of possibilities of leveraging location data in and outside of the AdTech space. In addition to his knowledge of the industry and his already-impressive solutions, Josh demonstrated to me in our brief meeting that he had something else — call it an “it” factor. This was a guy with the work ethic, the vision, and the story to take his fledgling company to the next level. Shortly thereafter, I joined as a strategic advisor and eventually became an investor. Over the next two years, I had the opportunity to work with an exceptional team of individuals (employees, advisors, board members and investors) with diverse backgrounds, levels of experiences and skill sets that have come together to help X-Mode create the modern day offline cookie. I have watched it grow our exclusive location data network to 20M DAUs/75M MAUs globally and counting. The majority of the X-Mode team was part of Drunk Mode. They understood all too well the struggles of a B2C startup. They understood what it took to provide an outstanding customer experience, and how to grow a company from an idea into a reality, on a shoestring budget. Startup life is tough; B2C startup life is even tougher. Having already succeeded themselves, X-Mode didn’t forget their roots. Instead, they decided to use the growth-hacking tools they had developed in order to help other B2C startups achieve their dream as well. In the location space, X-Mode has heard many clients complain about wasting funds on the same, inaccurate data over and over again. Couple that with data aggregators who are selling bid stream data (of which 85–90% is unusable, and is often collected with questionable user consent) and those same clients are wasting even more dollars and putting their company’s products and service at risk. At X-Mode, we have exclusive agreements with our publishers to ensure that the data we provide is incremental to our client’s existing panels. Even if there is device ID overlap, our network is providing incremental data points for those device IDs since we collect 100+ data points per daily average user. Plus, we see at least 11 days out of a month, 10+ hours during the course of a day. Along with latitude and longitude, we collect mobility metrics such as speed, heading, horizontal accuracy (70% within 20 meters), vertical accuracy, altitude, etc. These are key data points to understand if someone is actually visiting a location or just driving by it. Lastly, because our network is leveraging our first party SDK, we have the ability to send data to clients within 2 hours! All this considered, X-Mode provides a lot more value to our clients than our competitors. We enable them to leverage for a variety of use cases such as digital advertising, attribution, market research, smart cities, urban planning, OOH, OTT, real estate, and financial services. In a space that typically lacks transparency, X-Mode is quite the opposite. As a client or publisher, X-Mode wants to ensure transparency on what we collect, how we secure our data, and ensure that our data isn’t being utilized in ways without the appropriate consent. We even place trackers within our data (called Paper Towns) to ensure that our clients are not leaking/reselling data. Plus, since the launch of our publisher network, X-Mode has emphasized the importance of user privacy and security, and we continue to provide users with updated privacy information. Also, X-Mode is actively compliant with GDPR and continues to work with organizations such as NAI, DAA, IAB, etc. to ensure its meeting and exceeding industry standards on this front. I hope this has shed some light on why I am so excited to be a part of this journey with the X-Mode team. If you are interested in learning more, or if you have specific questions about X-Mode and what it’s like to work here, please feel free to reach out to me at donnie@xmodesocial.com or DM me on LinkedIn. 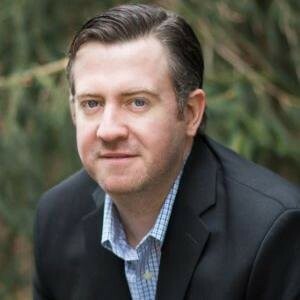 Previously MapQuest’s Chief Operations Officer and President and COO of augmented reality company CivicConnect, Donnie Yancey is now X-Mode’s Chief Business Officer. Yancey has 14 years of operations experience at AOL/Verizon and served as COO for marketing and advertising firm Empyr. Yancey received his M.B.A. from University of North Carolina Chapel Hill and M.S. in Finance from George Washington University. As CBO of X-Mode, Donnie oversees all business development activities related to raw data and segments, devises the organization’s raw data and segments sales strategies, analyzes sales processes, and implements best sales pipeline practices. Donnie is responsible for driving new raw data and segments sales and ensuring that the Senior Demand Sales team contributes to the company’s bottom line.